In the process of streamlining my wardrobe, I realised that I was lacking with statement accessories - I thought I had every clutch bag going (I own A LOT), but it appears that a bold print or embellishment is the way forward. Accessories that feature several colours within a pattern are the perfect addition to your wardrobe as they will work with multiple items. Spending on accessories means you can adventure with colour and print you wouldn't necessarily wear. 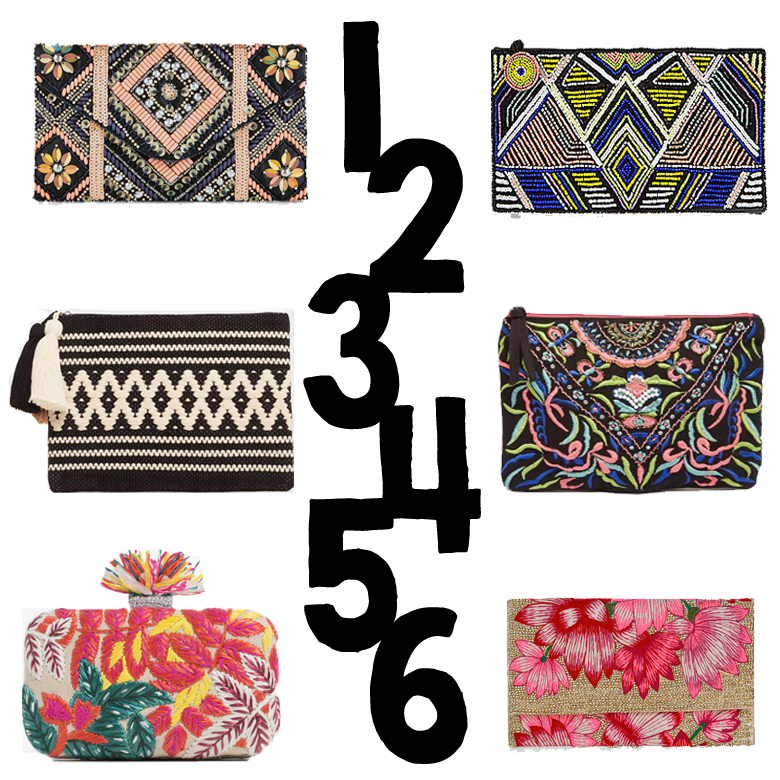 Which clutch is your favourite?